Designed for safety and more mobility for workers operating in elevated environments. What is a Rigid Rail System? A rigid rail fall arrest system, paired with self-retracting lifelines, is a reliable, cost-effective way to reduce the risk of injury in elevated work environments where stable anchor points are challenging. 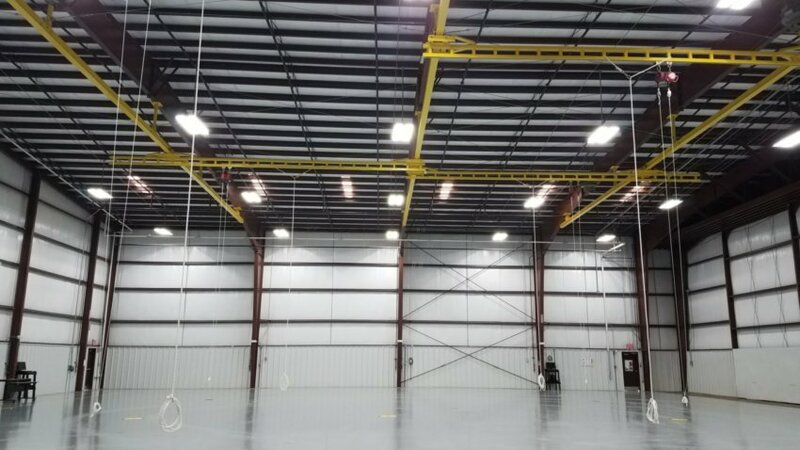 Typical rigid rail solutions are found internally in manufacturing plants where ceilings cannot anchor a lifeline, or in rail yards and airport hangars. Specialized fabrication and over-sized product manufacturing has its own set of challenges, including protecting workers at height during assembly and finishing. 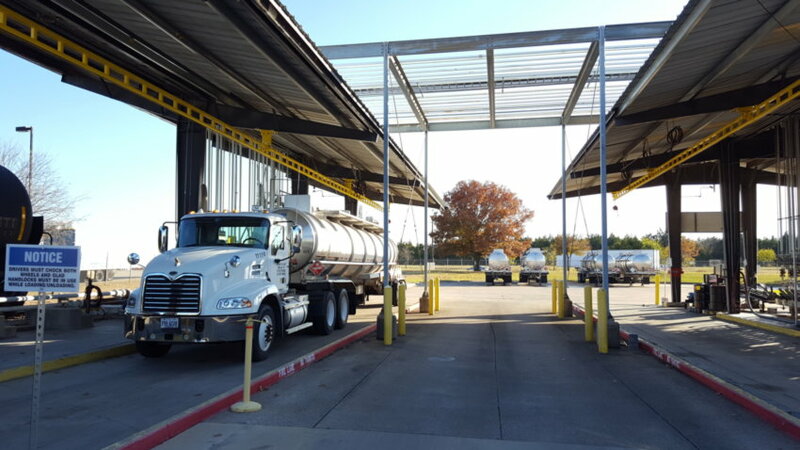 Overhead fall protection systems are customized with your unique environment for optimum motion and productivity. 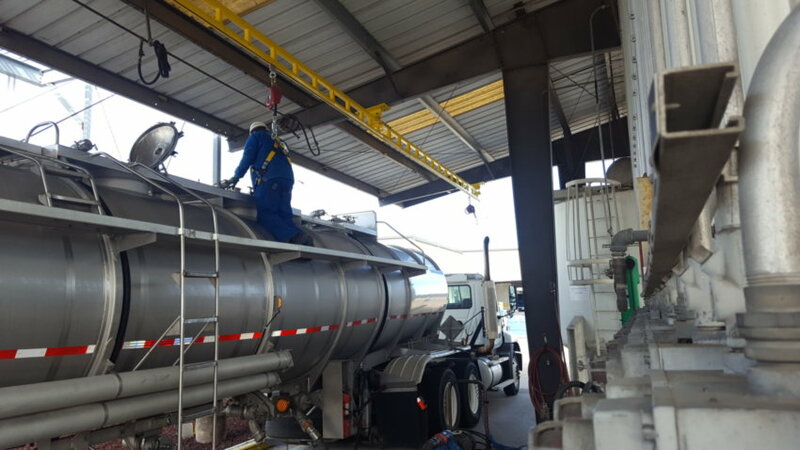 Working on railcars and tankers can be dangerous without proper fall protection. We will work with you to assess the environment and needs to design the best rail fall protection system benefitting your employees. 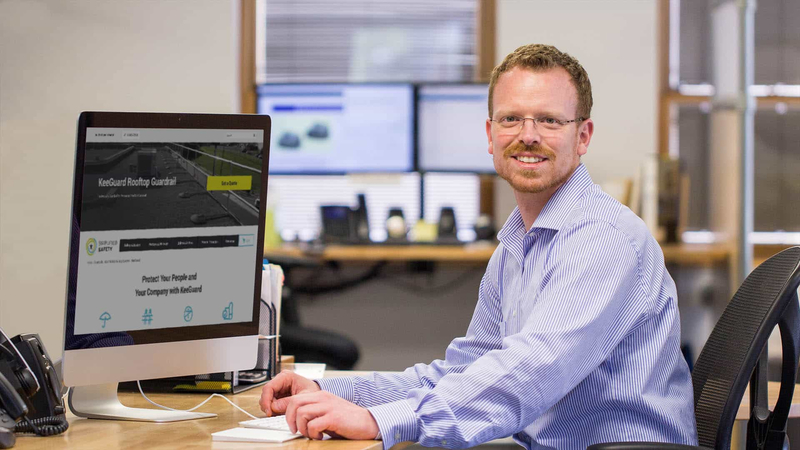 Maximize employee efficiency with a stable, quick connection from our fall protection solution. We offer a wide range of solutions designed specifically for performing maintenance, repairs, and overhauls for both fixed-wing and rotary aircraft. 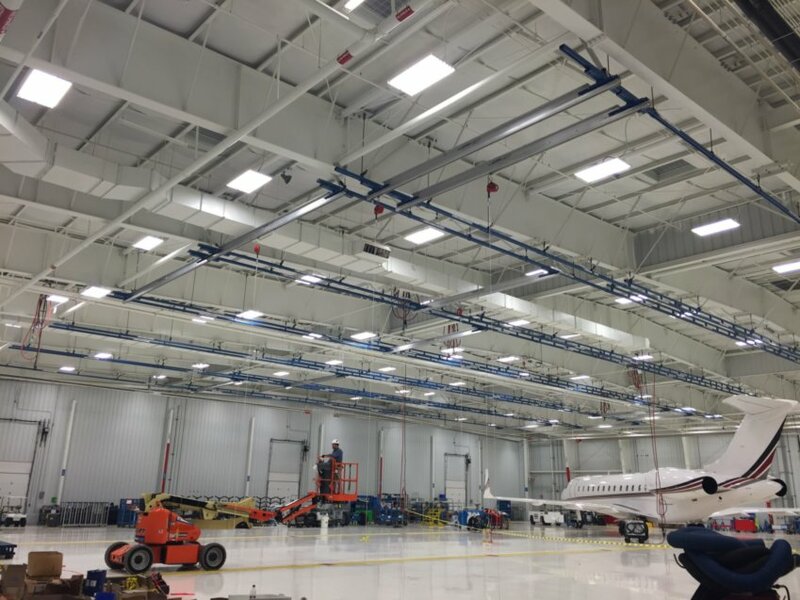 We have aviation fall protection systems designed and installed for commercial, corporate, and military aircraft. You want an engineering team with a full understanding of aircraft positions, aircraft types, and the tasks involved to design this crucial system. Our rigid rail systems are designed to be safer using a shock absorbing safety lanyard, or self-retracting lifeline, tied to a stable, high-grade aluminum track and fall arrest trolley system. FlexRail rigid rail fall arrest solutions have an enclosed track design for superior trolley movement so a retractable lifeline always stays directly above the user. The rigid construction minimizes fall distances with protection at levels as low as four-foot and span capabilities from 6-to-100 feet. FlexBridge can be positioned anywhere and provides large areas fall protection coverage. 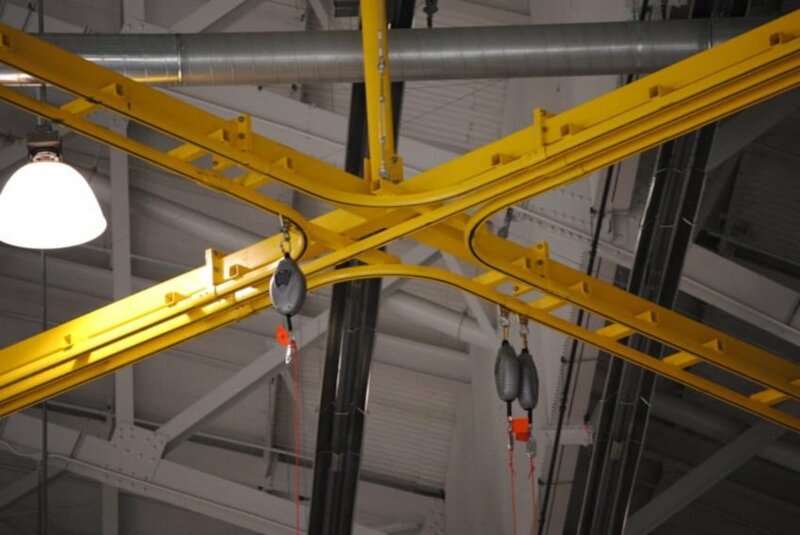 The FlexBridge Fall Protection system is ideal for industrial applications with existing overhead cranes or varying areas where fall protection is needed. The FlexBridge can be designed for spans from 6-to-100 feet. Shorter bridge spans will automatically follow the user’s movement, while longer spans require manual positioning. Twin FlexRail is a patented system consisting of twin enclosed tracks with sealed bearing trolleys for 1:100 movement-to-weight ratio. The trolley beam fall protection system for railcars and trucks is capable of spans of 100-feet between supports and 30-foot cantilevers past the end supports. Due to the extremely low weight-to-movement ratio, the retractable lifeline always remains directly overhead eliminating the possibility of a swing fall. 1910.140(12) Anchorages: Anchors used to attach to personal fall protection equipment must be independent of any anchorage used to suspend employees or platforms on which employees work. Anchorages used to attach to personal fall protection equipment on mobile work platforms on powered industrial trucks must be attached to an overhead member of the platform, at a point located above and near the center of the platform. on Rigid Rail Fall Protection Solutions? Do People Need to Pass Each Other? Yes, people need to pass each other. How Will the Track Be Supported? How long is the section that needs to be protected? How far away from the system does the worker need to move?